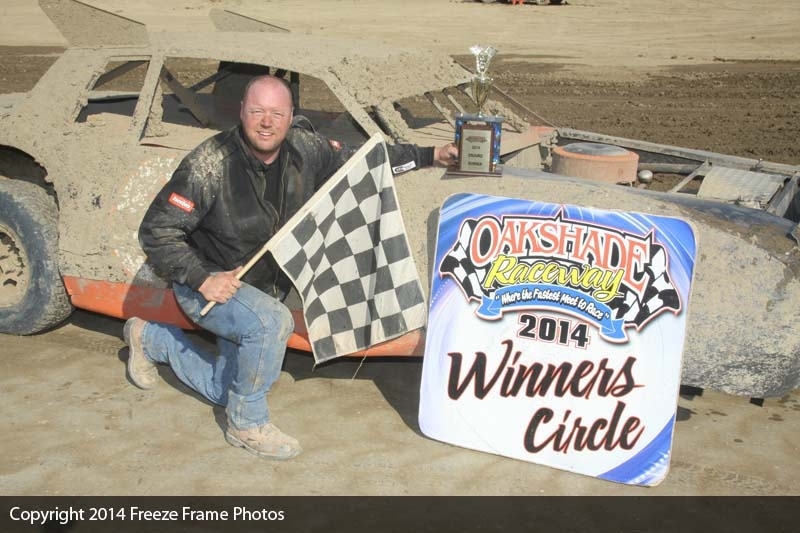 Oakshade Raceway wrapped up the 2014 racing season with a full weekend of racing excitement. 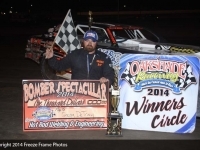 Saturday night was Season Championship for the UMP Sportsman, Bomber and Best Performance Motorsports Compact classes along with the 15th Annual Bomber Spectacular which was dominated by Gregg DeTray. Then on Sunday afternoon, Dan Dippman won the 250-lap Enduro race. 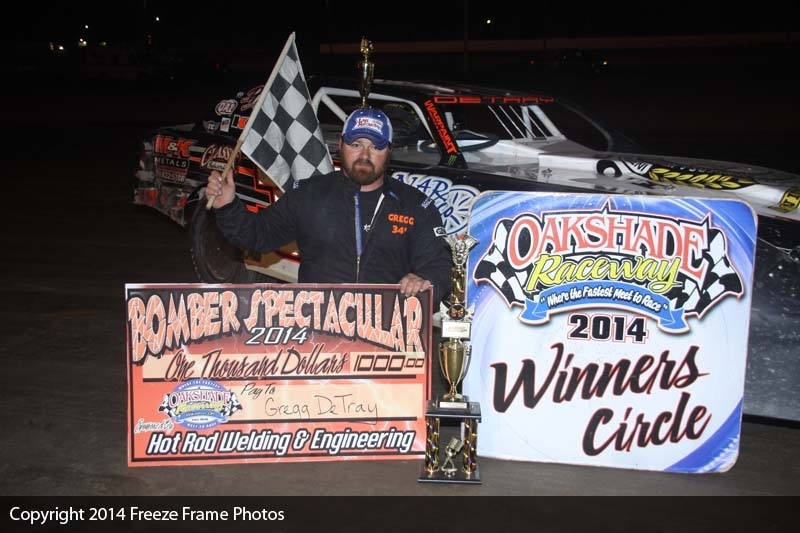 Over 70 Bombers filled the pits hoping for a shot at winning the $1,000 Bomber Spectacular sponsored by Hot Rod Welding and Engineering. Gregg DeTray from Swanton, Ohio started on the outside of the front row and took the lead from Terry Rushlow by the completion of the first lap. Jeff Foks was leading the championship points by 39 over Chris Sands at the start of the race, but had to start ninth. Sands started even further back, but was able to get by Foks and break into the top five about halfway through the 25-lap feature event. 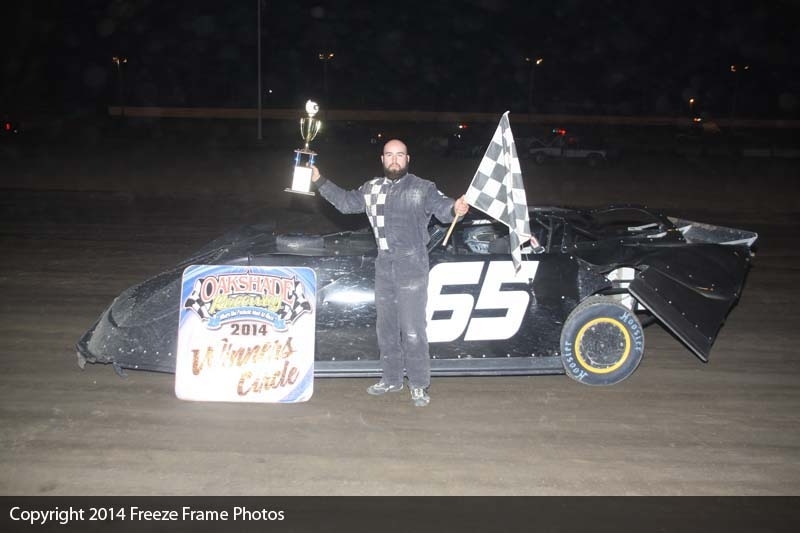 Despite one last bid for the lead from Rushlow, DeTray was able to lead the entire distance to win his fourth feature event of the season. Rushlow ran second the entire race all the way to the checkered flag. 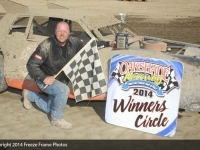 Craig Dippman was also consistent; starting third, running third and finishing in third. Adam Noonan from Toledo, Ohio got by Sands late in the race to finish fourth. Sands’ fifth place finish wasn’t good enough to catch the unofficial Bomber point champion, Foks, who ended up in 7th. 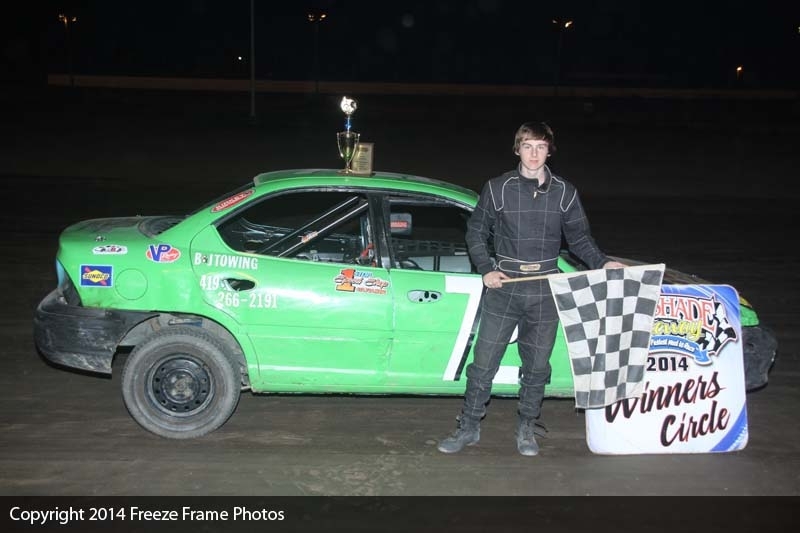 The final UMP Sportsman feature of the year had some ugly moments. Of the 20 cars that started, less than half the field was still running at the end of the 25-laps. Bruce Stuart took advantage of starting on the pole to lead the first few laps of the Season Championship race. 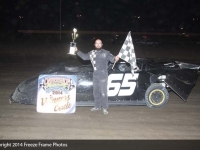 Tim Line had already unofficially locked up the Sportsman championship with his 10 feature wins this season and was going for his eleventh when he took the lead from Stuart on lap four. Line then proceeded to pull away. B.J. Gregory from Swanton, Ohio managed to avoid most of the carnage to get himself in to second place by lap 11. Gregory made a few attempts to take the lead from Line, but was unable to get by Line until late in the race when Line suffered some terrible luck. With Gregory right behind, Line had something break in the rear end that caused him to spin. Gregory made a great move to get by Line with only some minor contact and took over the race lead. Line’s night was over. Gregory went on to pick up the victory over Stuart, Drew Smith and Joe Smith who started 20th. Bob Krumm was fifth. John Martis out of Toledo, Ohio passed Cory Gumm for the lead on the outside on lap number two on his way to another Best Performance Motorsports Compact feature win in his rookie season. Brandon Myers unofficially won the point championship and finished in the runner up position in the race. Brogan Rehklau ended up third followed by Aaron Barrick and Andrew Cutler. Sunday afternoon’s Enduro had some pretty tight racing for a 250 lap event with no cautions. For a good portion of the race, three cars were all on the lead lap. Chris Williams led at the start and seemed to handle the early slick track conditions the best. By the halfway point in the race, Dan Dippman from Oregon, Ohio took over the race lead with Jeremy Grover moving into second. Dippman kept out of trouble and went on to be the first to complete all 250 laps in about an hour and forty-five minutes. Grover finished one lap behind in second. Mike Ritz had a tough go early on in the race, but soldiered on to a third place finish. Williams slipped back to finish fourth. 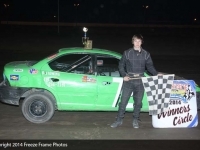 Brad Glibert survived flying over a loose wheel and having his hood fly open to finish fifth. The Wiener Dog Nationals presented by Paws and Remember invade Oakshade Raceway for their championship event on Saturday, October 4th. Check in for wiener dog race participants will be from 8:30am until 9:30am with the wiener dog races starting at 10am. There will also be Power Wheels Demolition Derby for kids aged 3 to 8 that will start at 12pm. Admission for these events is FREE! There is a small entry fee to participate in either of the events. For more details, visit wienerracing.com or oakshaderaceway.com.